The only German commercial cargo sailing vessel releases the lines! For the fourth time, the AVONTUUR will transport ecofair products. 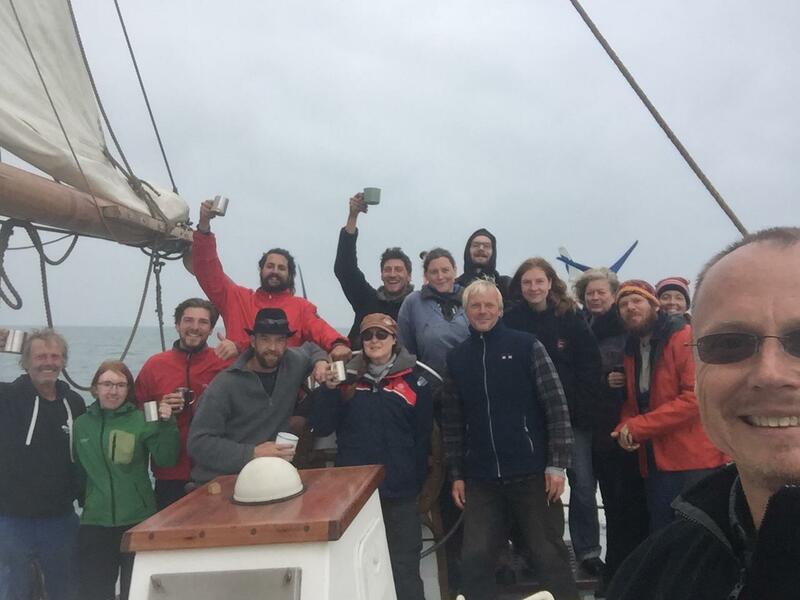 On 11 October at 4:30 p.m. the AVONTUUR crew set sail in the port of Elsfleth for the almost 100-year-old two-master’s nine-month cargo voyage. The crew of 15 consists of professional crew and fellow sailors from Germany, Canada, Finland, France, Switzerland and the Netherlands. 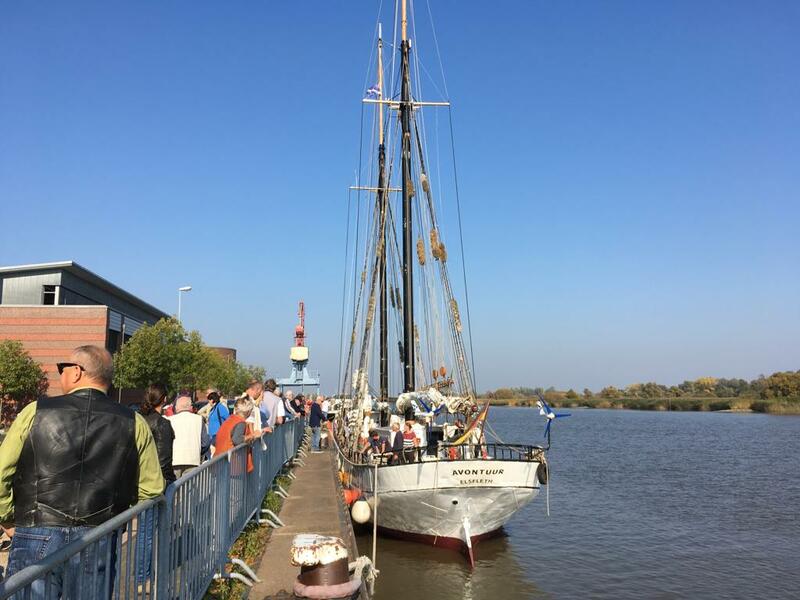 From Elsfleth, the gaff schooner reaches the North Sea via the Weser river and after passing through the English Channel, will reach the port of Douarnenezat at the end of October. After several stops in French and Portuguese ports, the gaff schooner is expected to enter the port of Tenerife, Spain at the beginning of December. From there the AVONTUUR will cross the Atlantic shortly after Christmas on the barefoot route towards the Caribbean, where it will load coffee, cocoa, rum, gin and other goods. From there, the crew and cargo sailors will be sailing with the trade winds across the North Atlantic to the Azores. Once back in Europe, the journey continues to England before the gaff schooner returns to its home port in Elsfleth in July 2019. The mission of the AVONTUUR is to show an alternative for sea transport. The 44m long and almost 6m wide cargo sailing ship was built in 1920 in the Netherlands. Captain and initiator Cornelius Bockermann built the AVONTUUR from 2014 to 2016 with the help of 160 volunteers in the shipyard in Elsfleth back to a sailing freighter after it had been converted into a coaster in the 1960s. The “Mission Zero” is backed by the Elsfleth-based company Timbercoast, which offers an alternative to conventional shipping. Container giants, which transport around 90% of global freight, are efficient, but their released pollutants drive climate change. According to forecasts, CO² emissions from global ocean freight transport will more than triple by 2050. Environmental protection regulations such as those for avoiding the use of heavy fuel oil in freight transport are already taking effect on land, whereas at sea these regulations are still largely lacking. With almost 70 tons of cargo, AVONTUUR cannot, of course, transport as much as a container ship but no harmful substances are released during the transport of goods with AVONTUUR, which is propelled by wind. The clean transport service therefore benefits both nature and people. In addition, the sailed products are holistically sustainable so they come predominantly from controlled organic cultivation and are rooted in fair trade. Timbercoast thus sets an example for ecological and social sustainability and proves that there is an environmentally friendly means of sea transport.